Tiny Arcades are know for there very small arcade replicas. How small do you ask? So small they have a keychain attached to them. Does this make them unplayable? Nope, they are a lot of fun! Not totally arcade accurate, but still very fun to play. 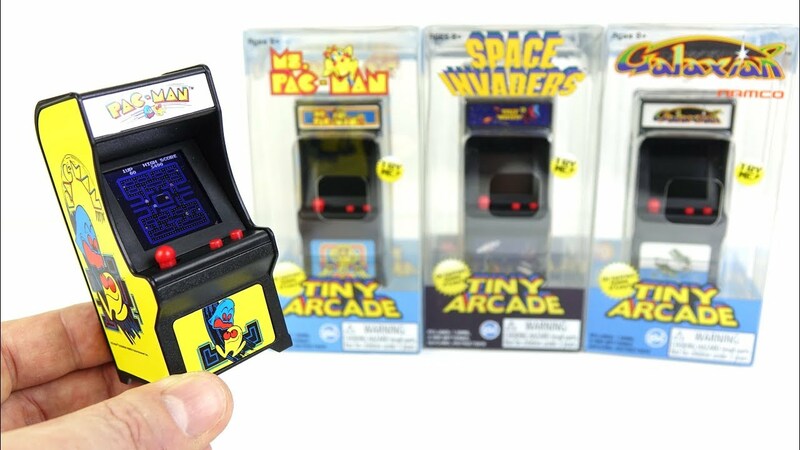 At Toy Fair 2019, (this year) the company announced four new Tiny arcades coming out later this year. Tetris and Qbert are coming out in April, and in June we get Rally-X and Pole Position. Second Wave of Tiny Arcade machines, coming soon! Retail varies from retailer to retailer on these guys, though they typically run $12-1$6 a pop, so it’s really in your best interest to shop around. So, after you play it…now what, you ask? Action figure arcade, my friend! They are so perfect for your classic 3.3/4-4 inch action figures, whether you need an arcade on the Death Star for your Star Wars guys, or the G.I. Joe Dreadnoks hang out needs a new machine– really, they do not disappoint.